How is everyone? I hope no-one was affected too badly by last nights storm. We missed it really up in the North-West, its just raining buckets and buckets (which is no different to the last week or so!). Last week I showed you these Christmas decorations that I had started. Then I had only six.....but then I think I developed a bit of an addiction and now have about 25! Thanks so much for all your lovely comments about them. Towards the end of last week I went on a little shopping spree and got myself a glue gun (so excited, I've always wanted one! ), sequins and ribbon and finished them off. Here is a close-up of the holly and berries. I think I may make some more of these for brooches. 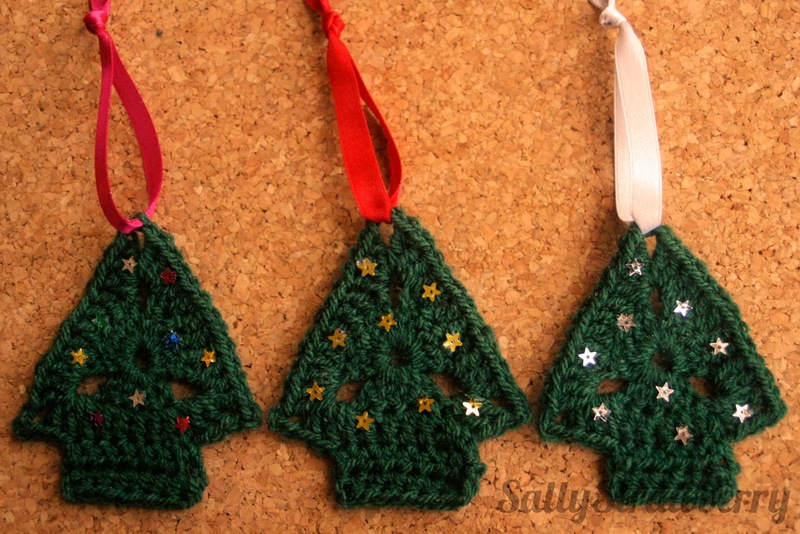 I love how your Christmas trees look with the sparkles and ribbon, I'm begin to feel very Christmassy. 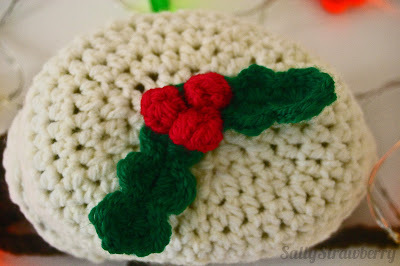 I think your Christmas pudding hat I adorable, I can just imagine how it will look. Thank you! Although its a bit early for Christmas it will creep up on me faster than I think! It did make me feel very Christmassy glueing on the stars, especially as there was a massive thunder storm going on outside whilst I was doing it! I love your christmas pudding hat! Lovely christmasy blog post!!!! Uhm, thought I had posted on your blog, but it isn't showing, so visited again. 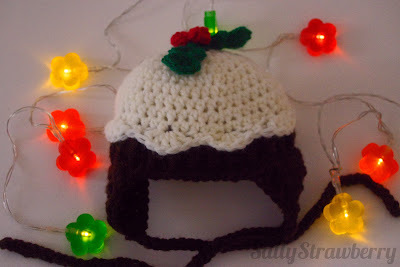 I love the Christmas Pudding hat - very cute. It would be lovely to have you as a guest blogger - let me know when you feel able to join in. Hope you have a good week. Yes, not sure what was going on there! Thanks, I will be in touch. Hope you have a good week too.